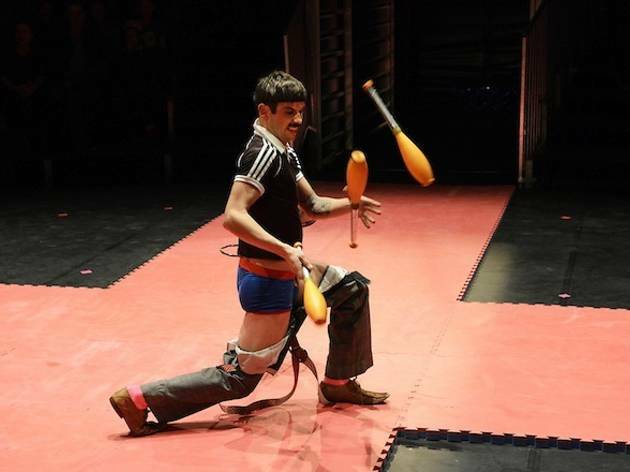 The Cirque Electrique at the Porte de Lilas isn't about kitsch costumes and aggressive merchandising, but glamorous, tattooed acrobats clad in a few centimetres of leather. 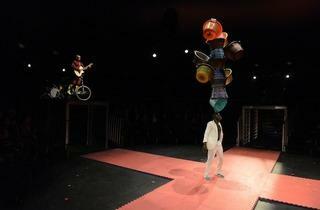 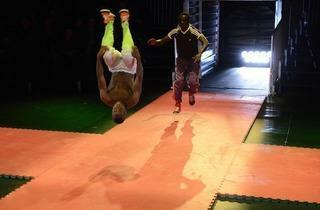 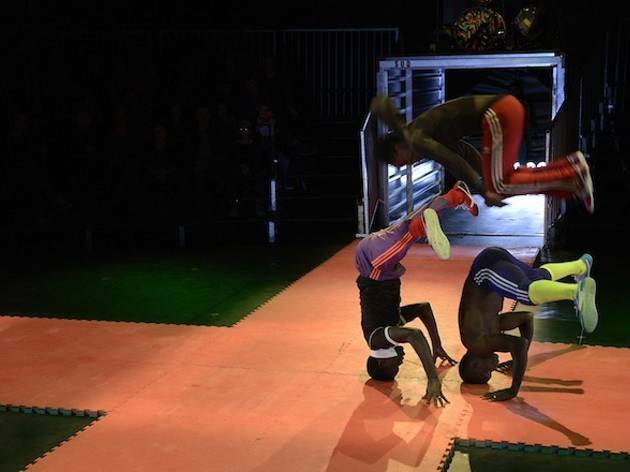 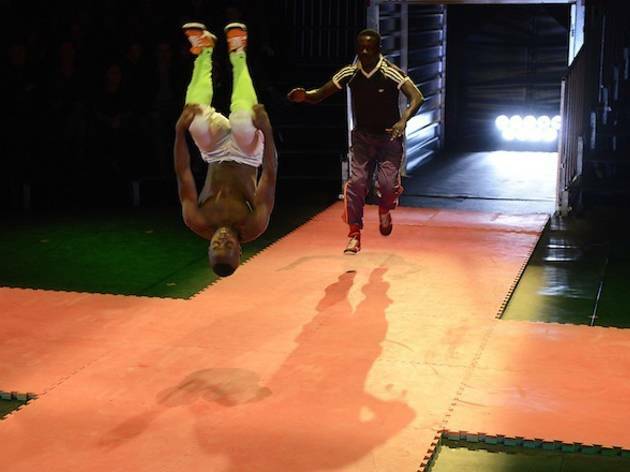 For this new show, the director Hervé Vallee has brought together eight young acrobats, four of them from Dakar. 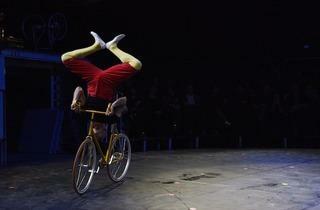 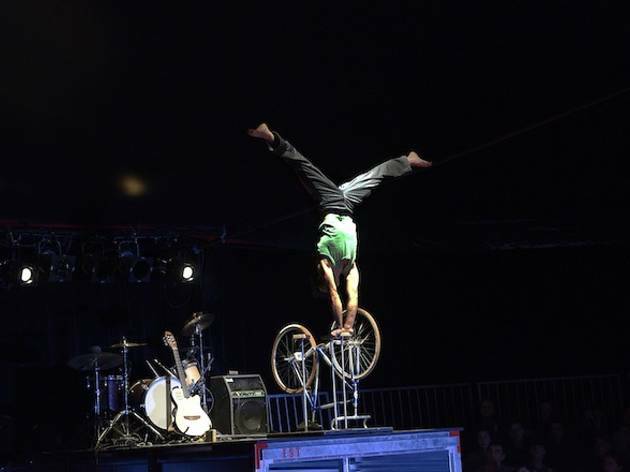 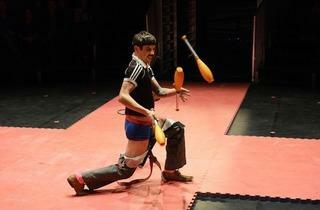 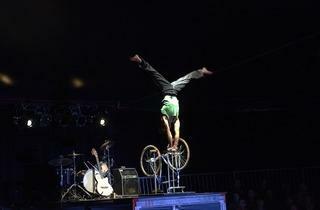 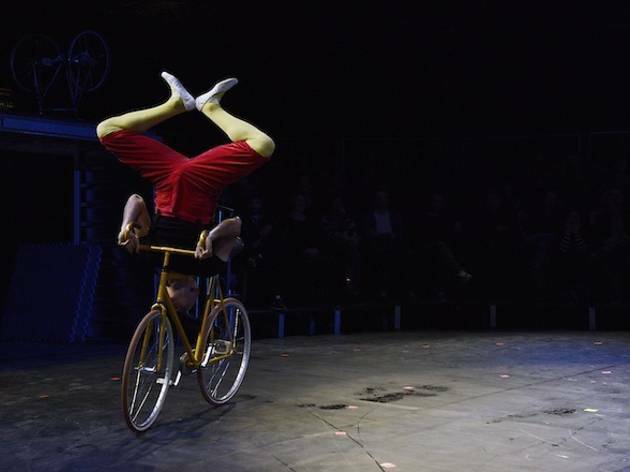 If the show is based on a classical circus vocabulary (hand to hand, cycling, juggling), it gives off a dynamism and energy much closer to hip-hop. 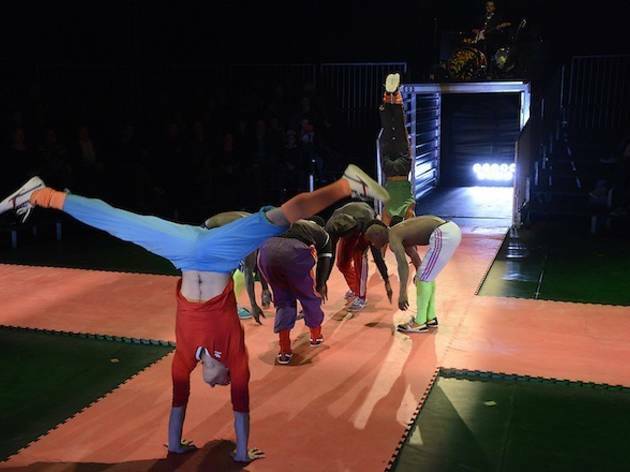 It incorporated reakdance and human beatbox, and unfolds on a stage decorated with fluorescent plastic containers and using coloured basins as props. 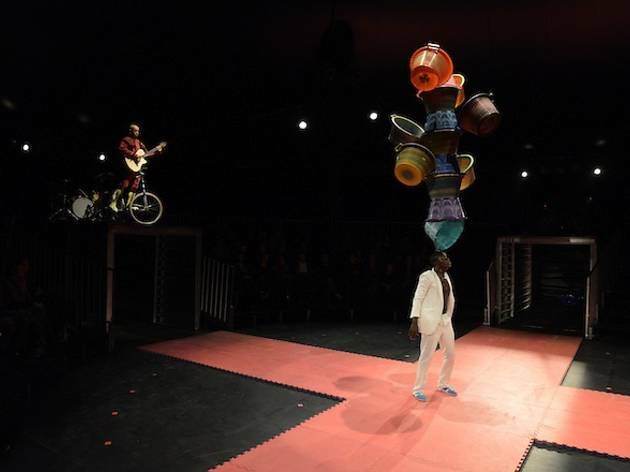 Two by two, all six or solo, each with their own style, the acrobats push the boundaries of their interactions through human pyramids, juggling and triple somersaults – a good-humoured, dextrous and rhythmic show with plenty of death-defying moments.